People think that eating healthy is extremely hard. I get where they’re coming from, but the reality of it is that we normally make things harder than they need to be. You assume ‘eating healthy’ means cutting out all your favorite snacks and foods, and committing to a life of lettuce. That’s not the case at all! Eating healthy can be very easy. 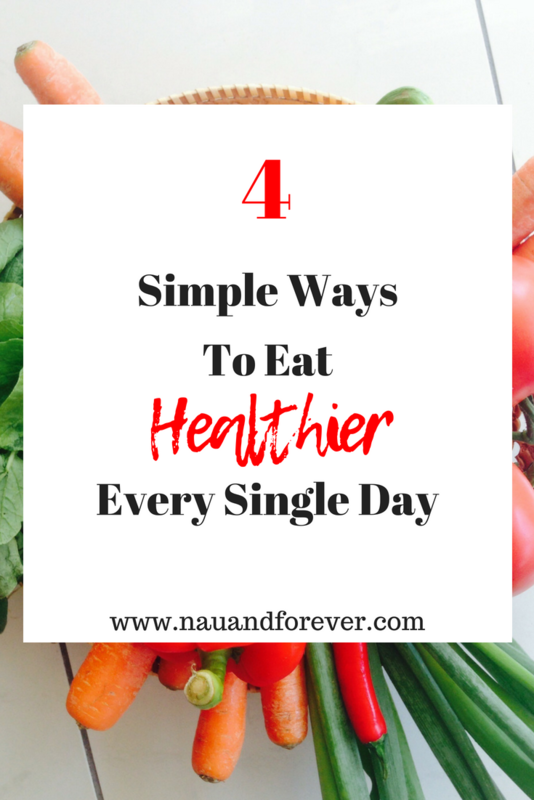 Check out 4 simple ways to eat healthier every day. One of the biggest reasons we find it hard to eat well is that we have too many unhealthy temptations around the home. Our kitchens are full of crisps, cookies, chocolates, and so many other things that are bad for us. So, the easy way around this is to just fill your kitchen with good food. Replace bad stuff with better alternatives; like fruit and nuts. Then, if you’re peckish, you can’t be tempted by something naughty! This one is so simple; change the way you cook things. Instead of frying some chicken in a puddle of oil to make it super unhealthy, use an air fryer and get the same taste, without all the excess oil and calories. Instead of frying an egg, poach it in water. Instead of frying a burger, grill it instead or cook it in the oven. You get the idea here – stop frying your foods and cook them a different way instead, it’s a simple trick, but it can help you eat healthier by not putting additional calories on your meals. I know, this sounds counterproductive as you’re supposed to be eating well! However, many people struggle to keep up a healthy eating lifestyle because they have too many cravings for sweet stuff or treats. So, if you completely deprive yourself of them, then the cravings get stronger and stronger. Yes, replacing bad foods with good alternatives is a great way to ensure you don’t stuff your face full of snacks every day. But, you should also have one or two little treats to give yourself every day. This satisfies your craving, and you’ll find it easier to eat the healthy snacks as well. Filling your plate may sound counterintuitive but as long as you are filling it with the right foods, it’s okay! This doesn’t mean covering your plate with a huge heaping of pasta. Instead, cover half of your plate with veggies first. Vegetables are a great source of fiber and will keep you fuller longer. Then add the protein and healthy carbs. This also stops you from eating too much and putting on weight. It’s a vital way to help you create more balanced meals. Want Coaching to Learn to Eat Healthier? Most of you know how to eat healthily, but you struggle to put it into action. 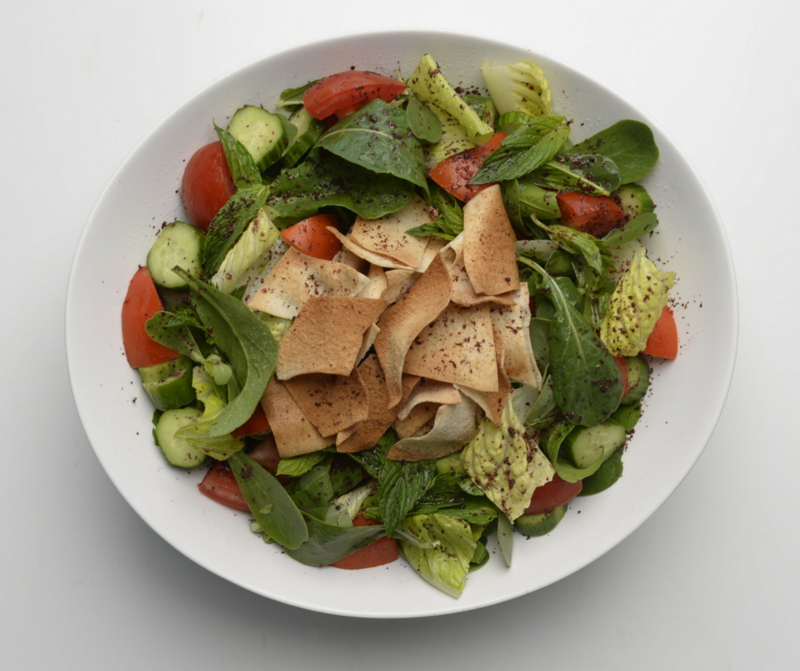 With these four ideas, you will undoubtedly start eating better right away. You’ll kick your cravings, stop overeating, and avoid adding pointless calories to every meal. If you need accountability and coaching to learn to eat healthier, I’d love to help you! I’m helping women learn to eat better and create a healthy relationship with food by focusing on mindset. If you are interested in learning more about this program, fill out this quick form or email me at laura@nauandforever.com and use “MIND AND BODY” in the subject line! Hi! How are you? I am an editor in a chinese company,I am indeed interested in your website, I hope improve my company’s website traffic, meanwhile make some promotion for our products, so I email to you and wish have a talk about sponsored article collaberation. Hi Gavin! You can send me an email to laura@nauandforever.com Thank you!